Interstitial lung disease is a relatively rare group of disorders characterized by lung scarring and inflammation that may lead to progressive, disabling and irreversible lung damage. An estimated 200,000 cases a year are diagnosed in the United States, most of them caused by environmental toxins such as asbestos or coal dust, but it can be caused by autoimmune disorders, infections, medication side effects or, sometimes, from unknown causes. Once diagnosed with the disease, most people don't live longer than five years. In a series of studies, the researchers sought to learn about new, and potentially treatable, factors related to early signs of the disease seen by CT scans—imaging abnormalities that may be present long before symptoms develop—which may help guide future preventive strategies. At an initial clinical visit, staff took blood samples for each participant and measured, among other things, vitamin D levels. 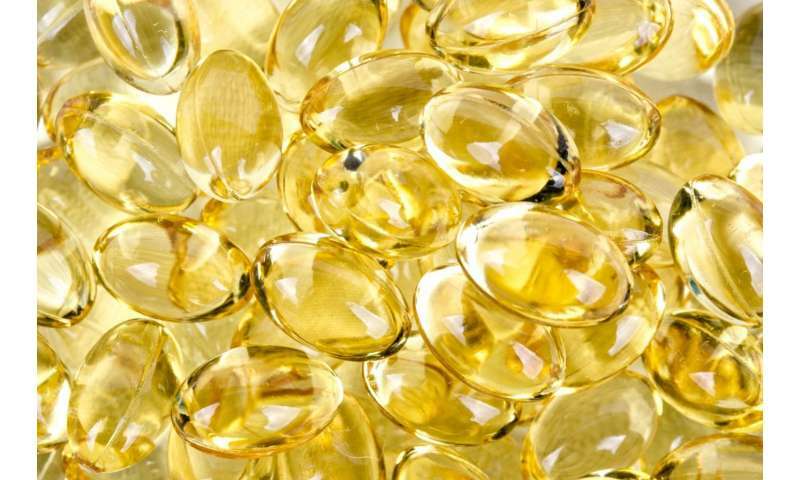 Those with vitamin D levels less than 20 nanograms per milliliter—about 30 percent of participants—were considered vitamin D deficient (2,051 people). Those with vitamin D levels of 20-30 nanograms per milliliter were considered to have "intermediate," although not optimal, levels of the nutrient, while those with 30 nanograms per milliliter or more were considered to have met recommended levels.